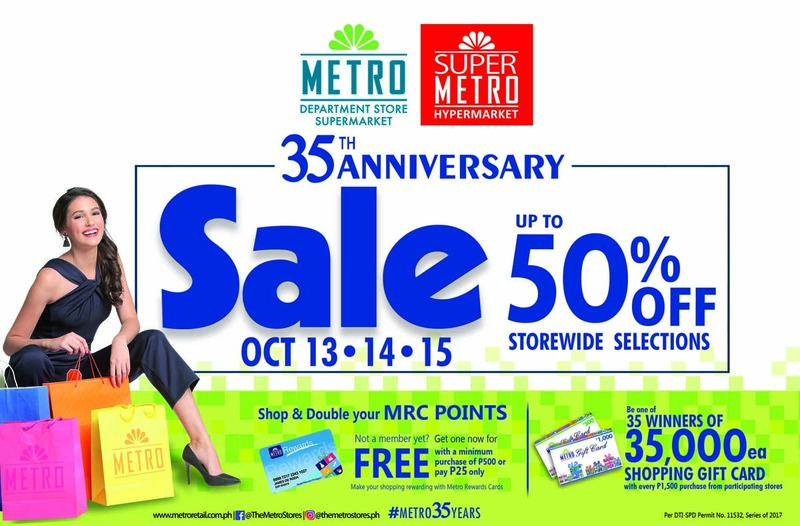 Metro is now on their 35th year! This is indeed a cause for celebration! Metro is having an-all out sale that you surely don't want to miss. On October 13, 14, and 15, great deals and big discounts of up to 50% awaits you! Metro has been one of my family's go to places ever since I was a kid. It's very convenient and, at the same time, we can find the things that we're looking for at the best bargain price! Until now, Metro is still my go to department store and supermarket. They have everything that I need at affordable prices! With 35 years running, Metro Retail Stores Group Inc. now has 52 stores nationwide serving an average of 250,000 shoppers per day! 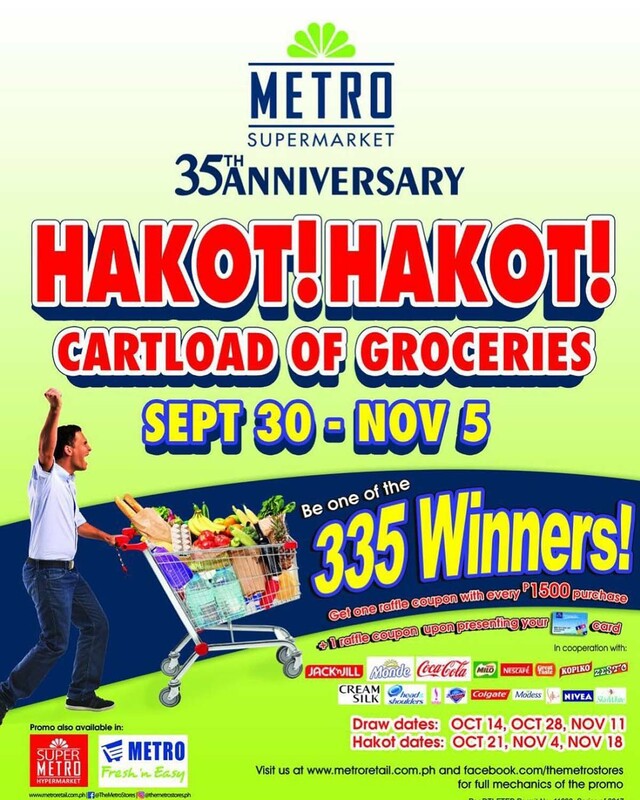 In celebration of their 35th Anniversary, they are having loads of prizes for their shoppers as a way to express their gratitude! They are giving away Php 35,000 worth of Shopping Gift Cards each to 35 lucky winners! All you have to do to participate is purchase a minimum of Php 1,500 during their Anniversary Sale.